Today’s talented workforce deserves to be applauded at every turn. That’s why special days were created to recognize the hard work that is put in by employees and working women all over the world. The first special day is Employee Appreciation Day on Friday, March 4th while the second special day is International Working Women’s Day on Tuesday, March 8th. These days are an opportune time to tell employees or entrepreneurs just how much you appreciate their effort, ingenuity, and creativity. 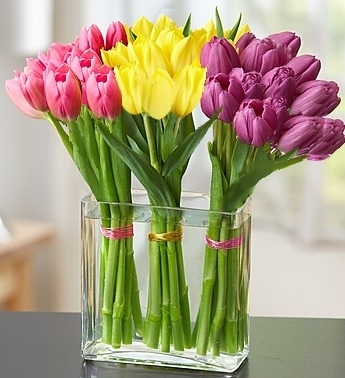 Flowers are a beautiful way to tell someone how much you appreciate them and can be used as a gift for either one or both of these special days. Fanciful Garden is a European style arrangement housed in a cube vase with pink and fuchsia gerbera daisies and garden roses. You’re All That tells that special worker that they are truly something in your eyes. 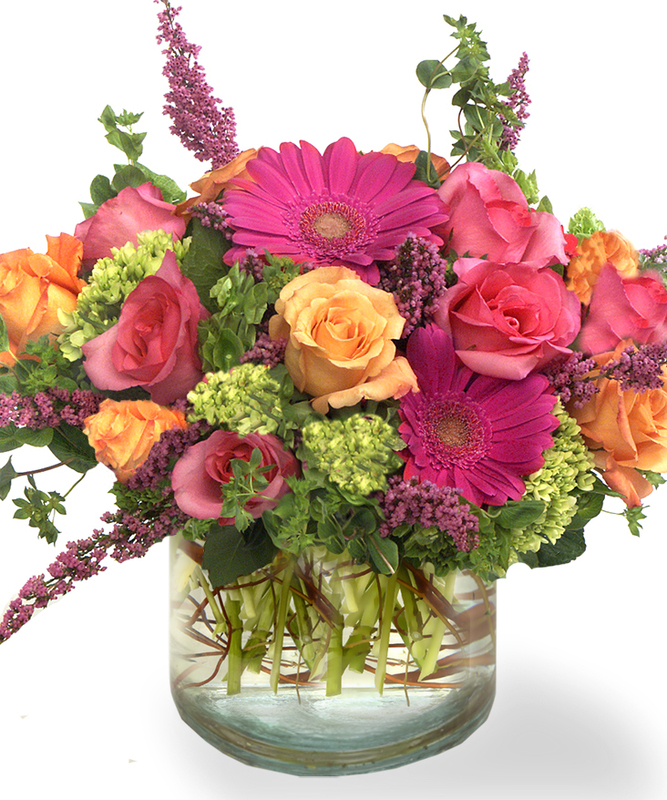 This flower arrangement features hydrangea, roses, and gerbera in shades of pink and tangerine. 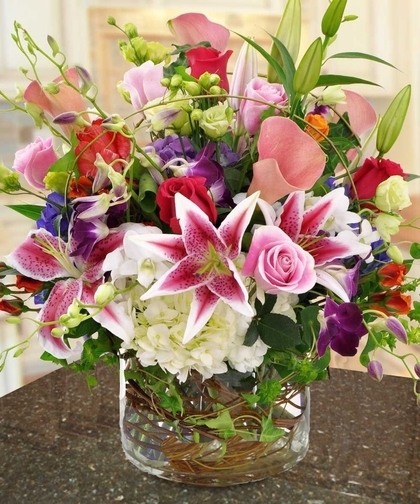 Garden Veranda is southern style flower arrangement with hydrangea, roses, field fillers, willow accents and stargazer lilies. White Roses & Orchids is a stunning flower arrangement of white garden roses and green cymbidium orchids. The Desktop Cottage Garden Bouquet has sunflowers, lavender roses, and seasonal flowers hand arranged in a leaf-wrapped cylinder vase. 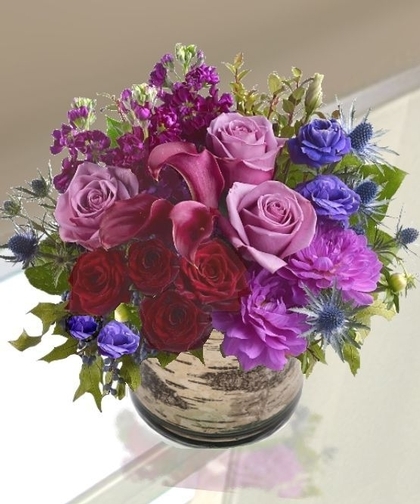 Pastel Palette offers a range of soft colors among hydrangea and roses that have been arranged in a bubble bowl. The Mystic Modern Cube Arrangement is a unique blend of roses, lisianthus, miniature calls, stock and dahlias along with preserved oak leaves. This is just a few of the many flower arrangements and bouquets that you can order from us. There are many more options to choose from or you can meet with our floral design team to create a custom flower arrangement for Employee Appreciation Day or International Working Women’s Day. 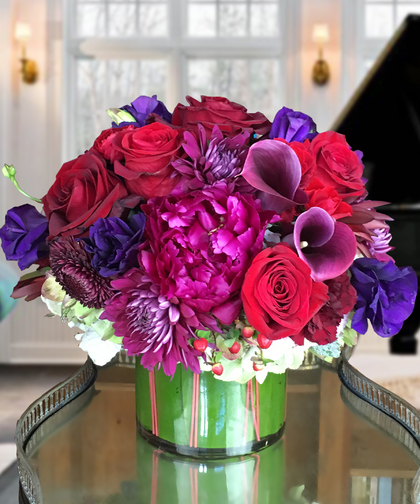 Our Atlanta flower shop hand delivers locally and offers flower delivery services across the country through our partnerships with a network of florists who share our philosophy and vision of quality, service, and value. Call, visit, or order online today to ensure delivery for these special days dedicated to workers.